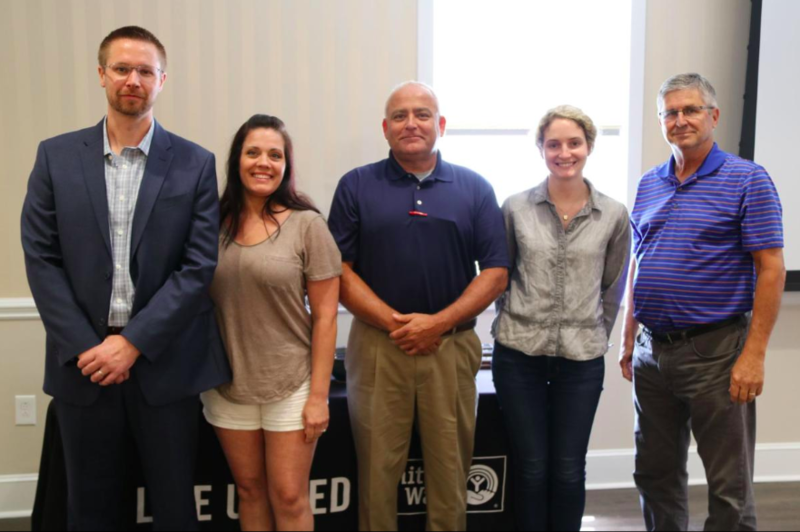 Burke County United Way held its annual luncheon meeting at the Morganton Community House on July 25th to accept newly nominated board members and recognize those who help make BCUW’s fundamental goals possible. Jean VanNoppen, a back-end programmer with VanNoppen Marketing, was proud to have joined the board. BCUW financially aids over 10 partner agencies in Burke County, including Burke Recovery, Big Brothers Big Sisters, American Red Cross, The Good Samaritan Clinic, The Meeting Place, Options, and The Outreach Center. BCUW raised over $300,000 through their community investment campaign and helped provide financial support for 33 programs and distributed 2,400 meals to people in need. The BCUW members whose terms on the board were over were recognized for their service, and six new (previously nominated) board members were accepted to serve for the next three years. In addition to Jean VanNoppen, the newly nominated board members include Rod Harrelson, retired from the banking industry; Aaron Hosch with Burke Hospice and Pallative Care; Ted Pedro, with J. Iverson Riddle Developmental Center; Dena Fotinopoulos, with the Grind Cafe; Dallas Stoudenmire with Chik-fil-A of Morganton. For more information on BCUW’s recent event, check out the News Herald’s full article here.